You already know that the Warrington College of Business is the top business school in the state and one of the best in the nation and world, but do you know the leaders that have guided us to such success and recognition? In our Meet the Deans series, we introduce you to the seven deans across the Warrington College of Business, Hough Graduate School of Business, Heavener School of Business and Fisher School of Accounting that lay the foundation for our success. 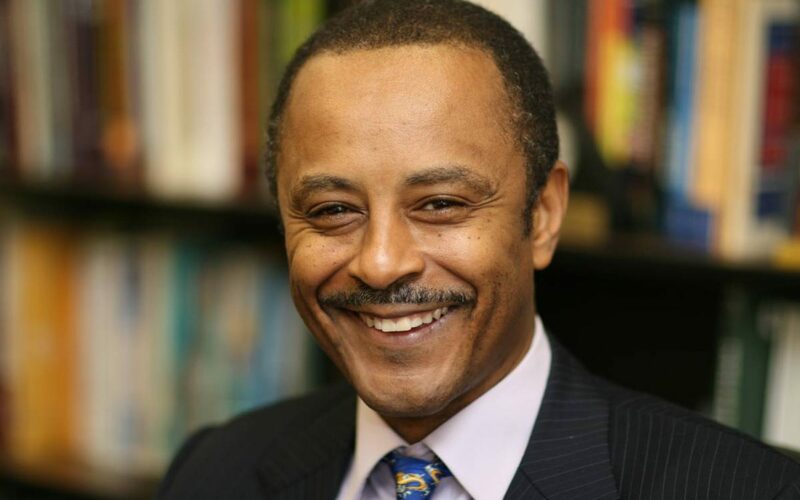 Robert Thomas is Assistant Dean for Diversity and Inclusion and Darden Restaurants Professor of Diversity Management. In his role as Assistant Dean for Diversity and Inclusion, he works to foster an atmosphere and environment of positive conversation and collaboration among all members of Warrington’s student body, faculty, staff and external stakeholders within and outside of the university. Additionally, he oversees college-wide efforts to support faculty, staff, students and alumni from historically underrepresented groups across Warrington’s three schools, including the coordination of diversity and inclusion programming. Thomas also advises Warrington’s leadership team on matters of diversity and inclusion across all three schools. He has been a professor at Warrington for 26 years and was named Assistant Dean for Diversity and Inclusion in the fall of 2018. Originally from Evanston, Illinois, he received his A.B. in economics from Princeton University and both his Ph.D. in economics and J.D. from Stanford University. Q: When did you know that you wanted to be involved in higher education, and why was that an interesting option for you? Q: What are you most proud of that you’ve been involved with during your time at Warrington? Q: What goal do you have for students pursuing a degree at the Warrington College of Business? What do you most hope they get out of their time here? Thomas: “First and foremost, the goal is for them to get a good education. The next most important goal is for them to develop a network. Having been involved in business and law schools, I strongly prefer the business school culture to the law school culture, and networking is a major reason for my preference. When I was in law school, I worked in Stanford’s General Counsel’s office. One of the cases I handled involved a student who filed a complaint because he had been denied admission to the business school. I wanted to understand why, so I went to the business school to find out. They said that he had been denied because he failed to demonstrate his teamwork abilities. It was eye opening because it showed me that it takes more than just good grades to get in; it’s also about building a class that has a great culture. Students need to be team players. From that point, I had tremendous respect for business school culture. When I decided to pursue my Ph.D., I knew it was going to be in economics, but I had thought it would be through liberal arts. However, my mentor told me about the Stanford Business School program and how similar their approach to doctoral training was to Warrington Management department’s approach. Professors work closely with their Ph.D. students. Once I finished my Ph.D., I had to decide between a teaching career in law or business, but ultimately, I decided to go teach in business due to my high regard for the business school culture. Q: If you didn’t decide to pursue a career in higher education, what would you do instead? Q: What can we find you doing outside of work or on the weekend? Q: What’s a fact about you that might surprise other people? Q: Is there anything else you’d like the Warrington community to know about you that we didn’t ask about?